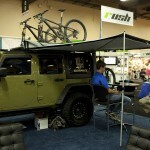 There were plenty of cycling accessories and gadgets at this year’s InterBike. 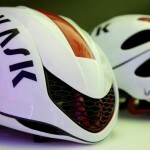 From safety devices to bike art, here are just a few highlights from the show. 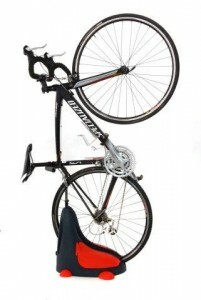 We will be doing full write-ups on many of these items, and more so check back for more information on these and many other cycling accessories. 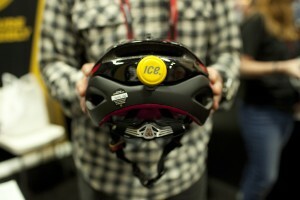 IC Edot’s helmet mounted crash sensor has been around for a couple of years now for use with the iPhone. It is now available for use with Android phones, opening up the safety device to many more riders. This year, ICEdot is expanding with an exciting new product which we will be reviewing in an upcoming article. 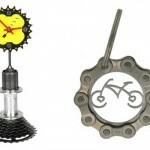 VeloBling is a Colorado based company that takes recycled bike parts and turns them into jewelry, clocks, and various pieces of art. 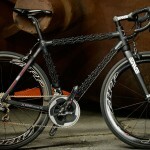 Their works are beautifully done and they each retain a bicycle theme throughout their product lines. 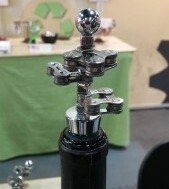 Some of our favorites include the wine stoppers and cuff links. 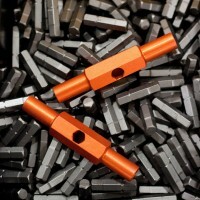 Fix it Sticks made a big splash last year and were back with some improvements on their original design. 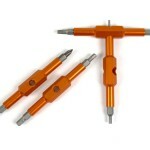 Their new version comes with interchangeable bits so one tool will cover multiple jobs. They also have some additional tools in the works. Tigra introduced their MountCase with ArmorGuard, a waterproof, shock proof phone case that can easily mount to your bike. 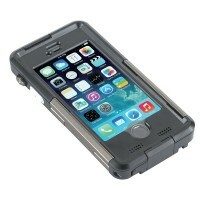 The case is currently available for the iPhone and Samsung Galaxy phones but they plan on expanding their offerings. 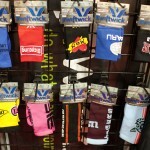 The Velo Sock is a great for those who have to store their bikes inside their home and don’t want to risk a greasy mess. 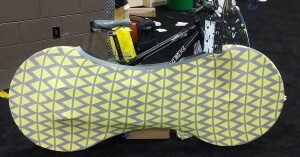 With a variety of designs and color schemes the Velo Sock adds a little flair to your bike and can compliment your home’s decor.